The Train-the-Trainer program aims to develop an educational curriculum to train qualified Tsunami Public Education Instructors. The Train-the-Trainer program is a joint effort of the NOAA Center for Tsunami Research (NCTR) and the Washington state Emergency Management Division (WA EMD). As of January 2010, Train-the-Trainer graduates have conducted at least 12 community workshops for a minimum of 339 participants. Classroom snapshot at pilot Train-the-Trainer workshop held on June 9, 2009. Participants in pilot Train-the-Trainer workshop held on June 9, 2009. On 9 June 2009, WA EMD hosted a Pilot Train-the-Trainer Workshop. The workshop objective was to conduct a Pilot Project to initiate, test, and refine a curriculum for a Trainer program that will be developed and taught by the NCTR in collaboration with WA EMD to graduate qualified Tsunami Public Education Instructors as identified by WA EMD. This objective is a critical component essential to the National Tusnami Hazard Mitigation Program (NTHMP) Educational Plan. 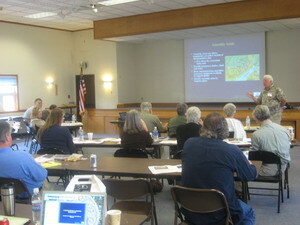 The Workshop was a joint effort of the WA EMD and the NCTR. 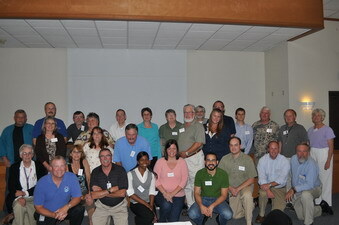 A total of 31 participants from various coastal Washington jurisdictions took part in the Workshop. Attendees included personnel from county and community organizations such as Emergency Management and Community Emergency Response Team (CERT).